Display your love of the fox and the hound or both! 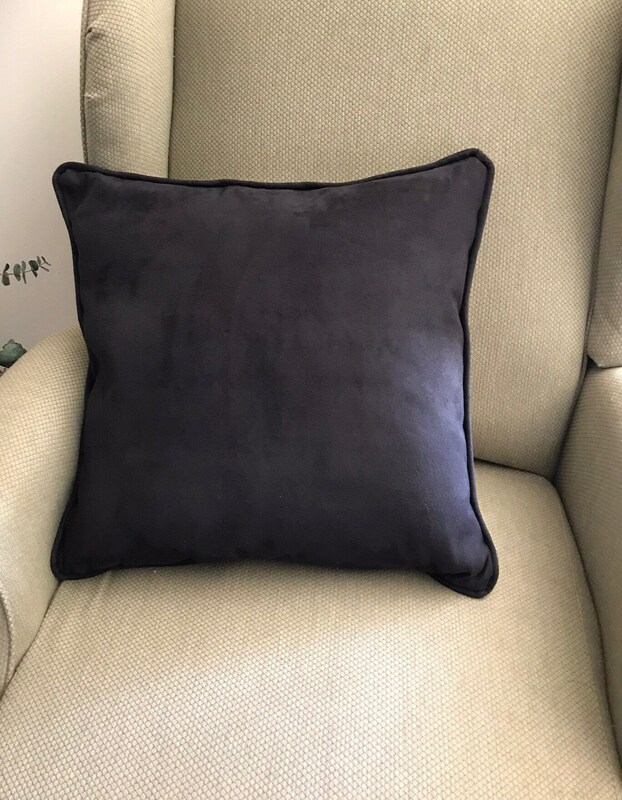 The pillows are made with natural colored 100% Irish linen on the front and black ultra suede on the back with matching custom made piping. 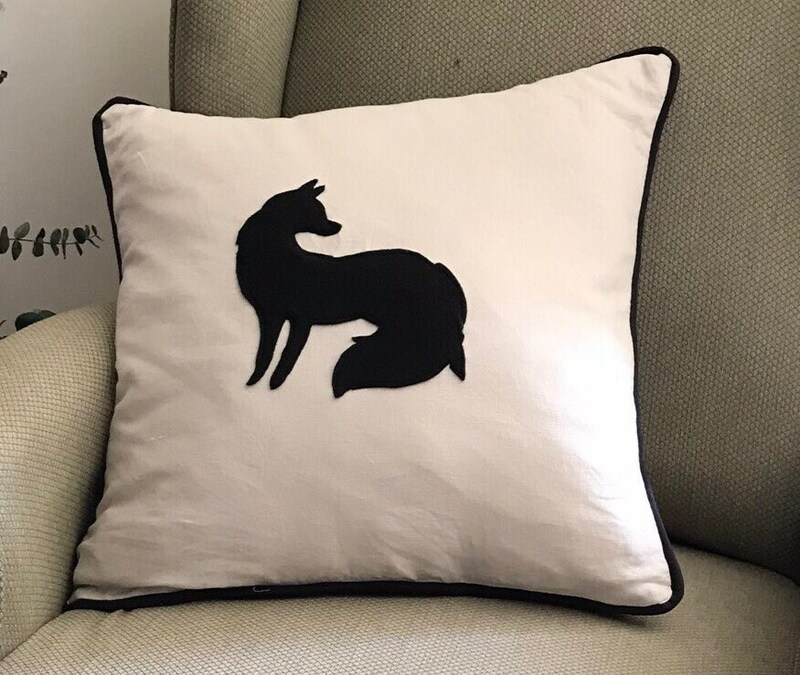 The front of the pillow has a black wool felt silhouette of a fox or a hound.. 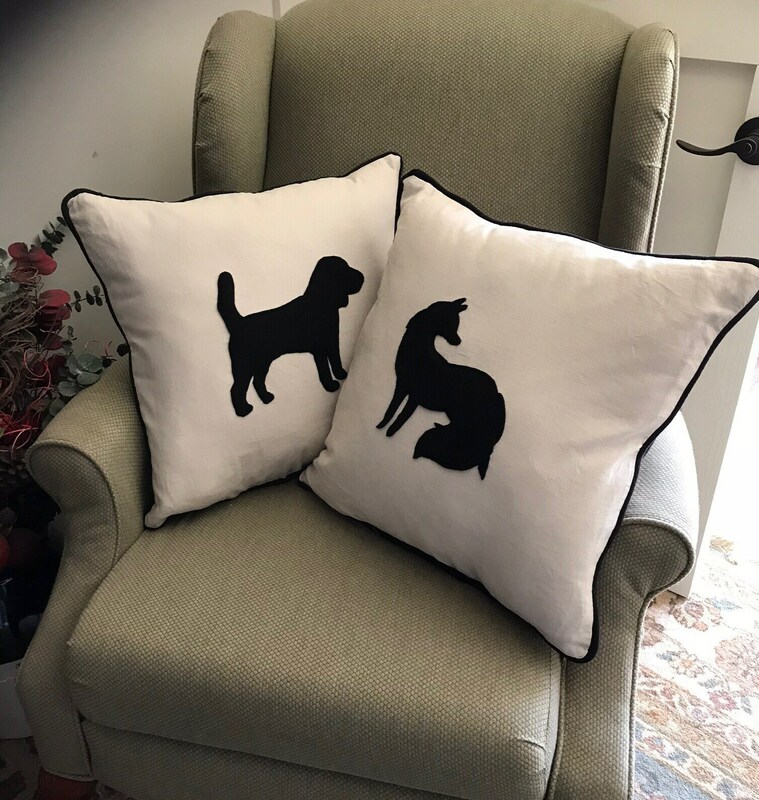 The pillows are 18”x18” . Great on their own or as a pair. 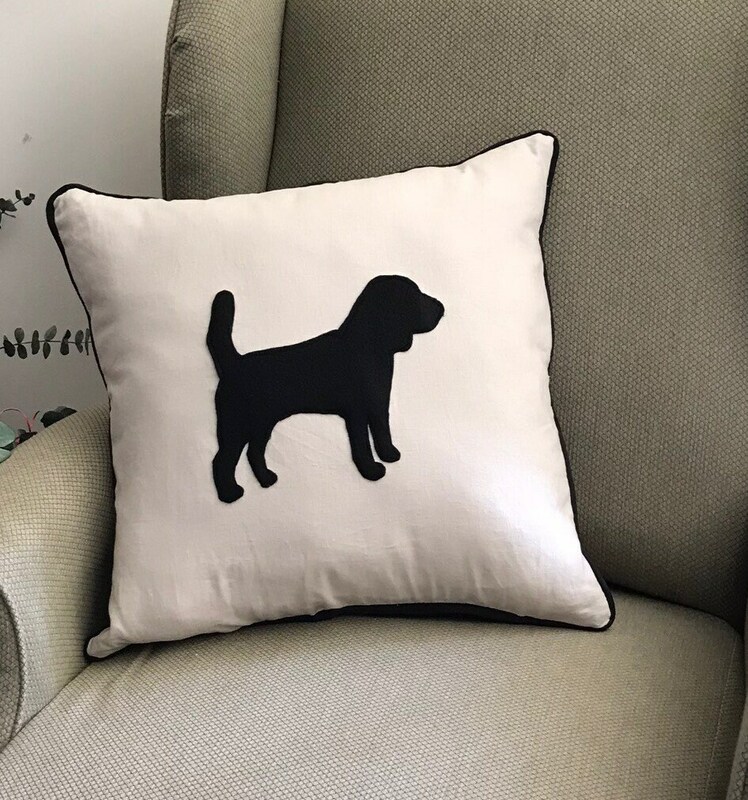 The pillows can also be customized with your choice of a dog or horse breed and also your choice of colors or sizes Message me and we will create something just for you. I am working in a few for customers right now and will list them when complete as examples. 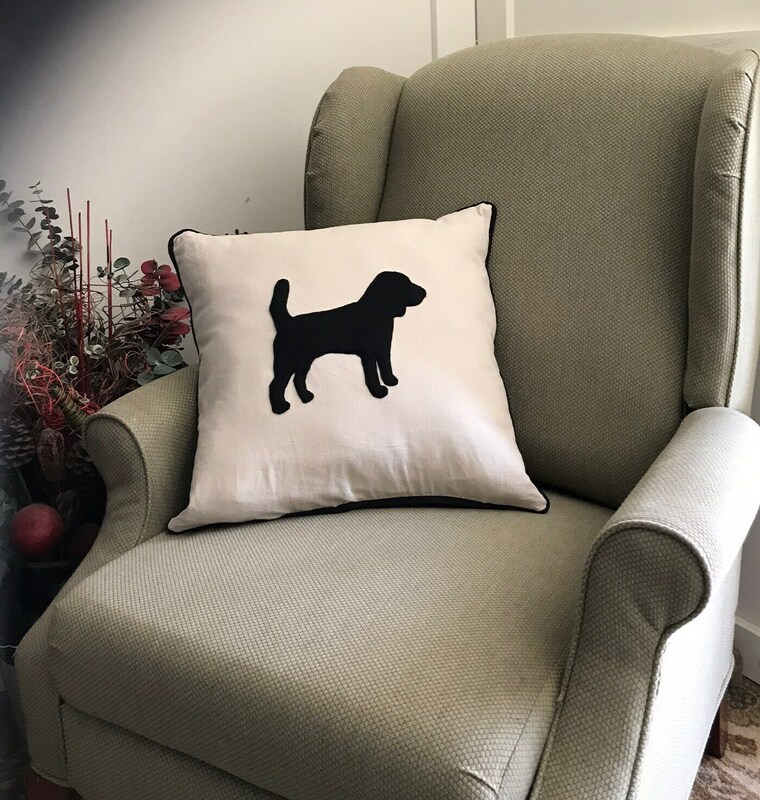 Please note the pillows are $49.00 each or 2 for $81.00. Message me and I will set up a listing for you for the pair at the discounted price.